The new 2018 Honda CR-V is more fuel-efficient, powerful, comfortable, spacious, and advanced in terms of safety and connectivity technologies. 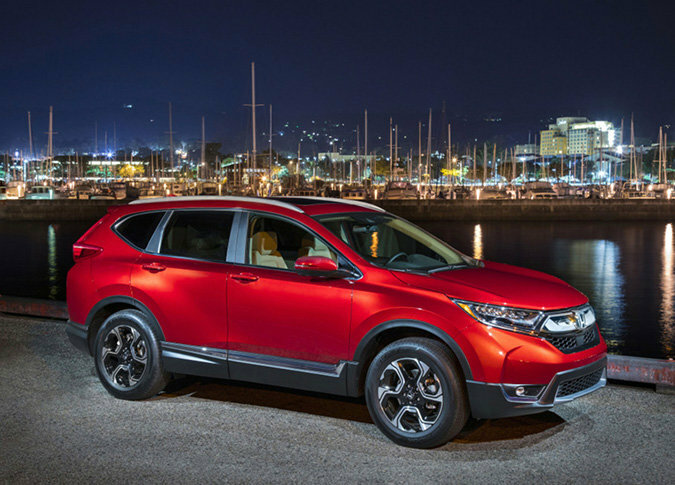 Straight to the point, the Honda CR-V is a must-have in the compact SUV segment, especially for buyers looking for a safe and reliable ride that is also spacious. Honda’s compact SUV stands out in the market and is very popular among consumers. The new 2018 Honda CR-V is more fuel-efficient, powerful, comfortable, spacious, and advanced in terms of safety and connectivity technologies. Without a doubt, the 2018 Honda CR-V’s popularity and success in terms of sales is due to the fact that it meets a variety of different needs. The 2018 Honda CR-V stands out because it has multiple versions and standard equipment, including heated seats, keyless entry with a push-button start, a multi-angle rear-view camera, and Apple CarPlay and Android Auto connectivity features that ensure a perfect connection between your mobile device and vehicle. In addition, all 2018 Honda CR-V all-wheel drive models are equipped with the Honda Sensing package, which includes a set of driver assistance devices such as lane departure detection and prevention, adaptive cruise control, automatic braking, and collision warning. Whatever your equipment needs, the 2018 Honda CR-V will surpass your expectations. The 2018 Honda CR-V returns with the 1.5-litre turbocharged four-cylinder engine introduced last year. Delivering 190 horsepower and 179 pound-feet of torque, this engine surprises with its quick reactions, impressive acceleration, and fuel consumption. Whether it's the front-wheel drive or the all-wheel-drive model, the 2018 Honda CR-V will surprise its owner with an average fuel consumption rating of 8.7 litres per 100 kilometres in the city and 7.2 liters per 100 kilometres on the highway. This is pretty impressive for an SUV that also features 1,111 litres of cargo space with all the seats up and well over 2,000 litres with the rear seats down. To learn more about the new 2018 Honda CR-V, contact us today at Halton Honda!